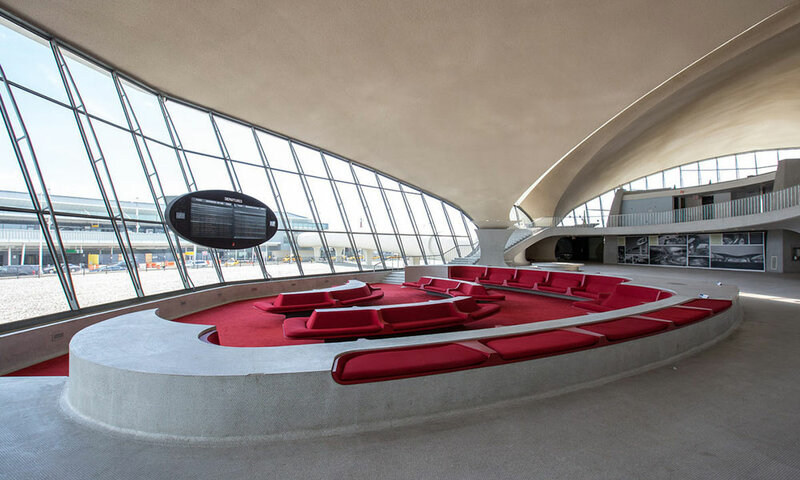 As American airports struggle to keep up with the modern and innovative designs of its architectural counterparts in foreign nations from all around the world, it appears as if the golden era of flying from the days of Pan Am and sophistication at 35,000 feet could be the creative source for a 21st century return to luxury in the skies. Well, at least for the space where we wait to get on the plane. 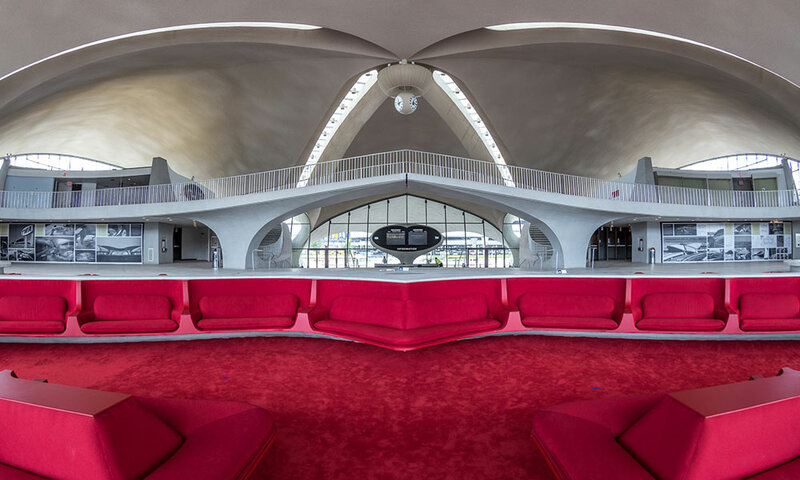 It’s time to experience a hidden, closed-off terminal of JFK Airport in New York City. The seats are spacious and the layout is visually appealing. 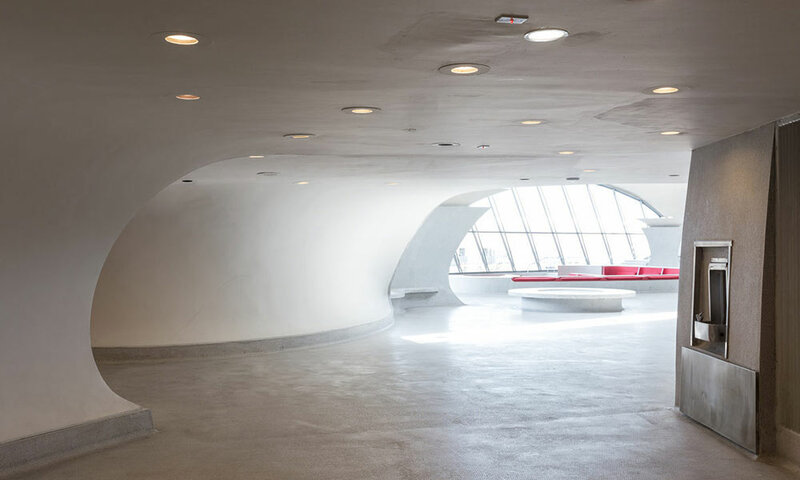 The lines (interior and exterior) are cool with nice dimension and the vibe is simplistically calming. More splashes of sharp colors should be added, along with more backs to seats and the area should be gadget-friendly with the latest technological features, but the basic framework is there. 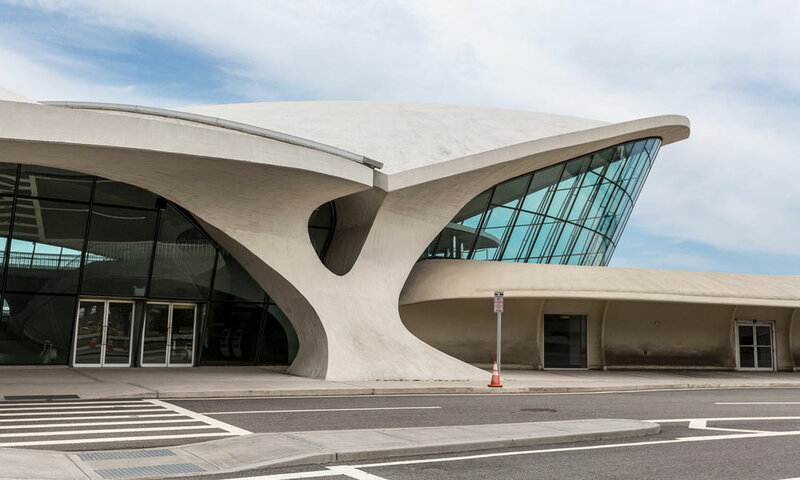 Even in its current form, it’s a welcomed call back to the moment in American history when flying wasn’t inherently stressful or a tornado of chaos, rudeness and sloppiness. Just the sight of this environment inspires class and a promise of a great journey and exciting escape. Unfortunately, this gem from the past is set to be re-purposed into a fancy hotel. That’s not surprising. 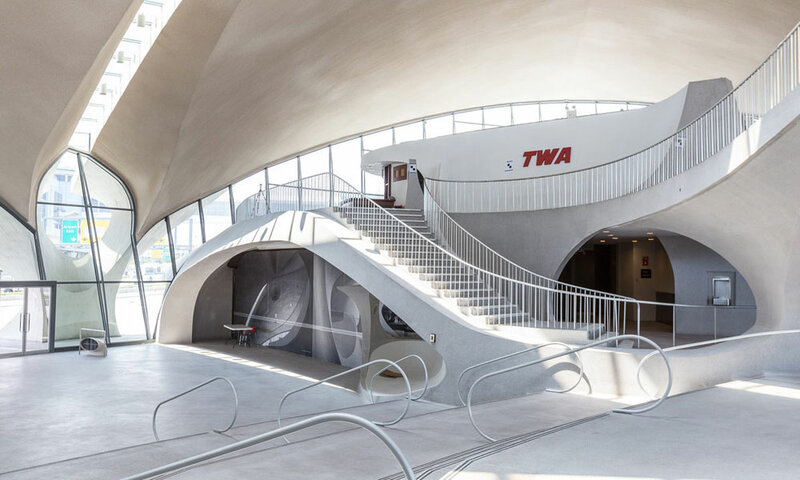 But going to a terminal in an airport like the one shown above in a happy mood and not trying to merely complete the taxing task of going from Point A to Point B (with layovers in Point C and D) would be rejuvenating. It would be a smooth, worldly ride, if you will. What do you get when 1,000 random Italian musicians collaborate together to play and sing “Learn to Fly” by the Foo Fighters in perfect harmony in an effort to get said band to play a show in Cesena, Italy? That video was rock n’ roll and the Foo Fighters are rock n’ roll. Dave Grohl is currently playing shows with a broken leg, so I think it’s safe to say that this dream will become a reality. In the meantime, thank you Italy for showing the world the best of you. Saying or writing the word, “Benghazi” stirs up raw emotions more than two and a half years later. The September 11, 2012 attack on the U.S. Embassy in Benghazi, Libya left four Americans dead, including Ambassador Christopher Stevens. Multiple warnings had been issued in the months prior, clearly requesting the need for increased security measures to be put in place. The requests were ignored. Libya is located in the one of the most volatile regions in the world, after all. Sadly, the worst fears were realized when a premeditated strike by terrorists with heavy weaponry was used against the U.S. compound that became filled with the enemy running wild, bullet holes, destruction and raging fire. The aftermath was devastating to watch on the news. It was September 11th…again. However, Michael Bay’s newest explosion-filled trailer for his movie (sans CGI robots) 13 Hours: The Secret Soldiers of Benghazi does not include the political aspects of this controversial tragedy. The film is based on the book of a similar name by respected writer Mitchell Zuckoff. 13 Hours aims to give a Zero Dark Thirty-like account of real-time events involving American special forces and their attempt to save American lives. Like Chris Pratt, John Krasinski is another NBC sitcom star looking to show fans his military credentials with his character’s SEAL training, deep concentration and manly beard. Here is the aforementioned trailer, released today. 13 Hours arrives in movie theaters on January 15, 2016. With this trailer, we’re beginning to see (and not just hear) about what really happened in Benghazi based on gritty, heart-pounding first-hand accounts. One thing is for certain: Michael Bay’s movie will be explosive. Tom Cruise lip-syncing popular songs? That’s a mission that would be impossibly amusing. The Tonight Show with Jimmy Fallon continues to prove its towering place in late night television specifically and pop culture more broadly in our social media-driven, nostalgia-loving (’90s favorites) society. Entertainment is king and Jimmy Fallon is one of its princes. Well, a jester to be more precise. Jimmy Fallon is a master at his craft with celebrity and musical impressions, improvisational banter with his comedic partner Steve Higgins and YouTube-worthy sketches. And it’s all with a definitively positive attitude. Everyone has a good time, including the audience. Business as usual (risky and hilarious) in Studio 6B.